And what better way to start than with the same kind of announcement of my last post here, so many months ago, namely the news a deck that many in the tarot community have been looking forward to, has reached the point that it's ready for pre-order. 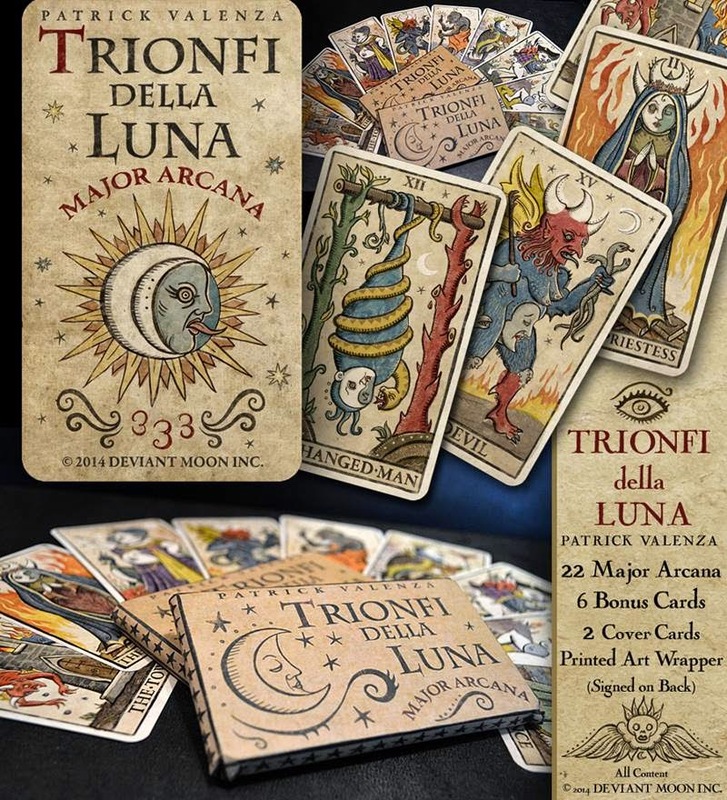 The deck in question is the 'Trionfi della Luna' (formerly known under its working title 333 Tarot) created by the same artist who brought the 'Deviant Moon Tarot' some 6 years ago. Where the Deviant Moon was a slick polished deck with a quirky dark side this new creation of his is more wild, medieval with a naughty a bit more than just tongue in cheek kind of humor - something that I can appreciate!